The Moravians and Pietists were…in the American colonies during the Revolutionary War. The Moravians adopted neutrality, though their settlements were used as prison garrisons. Among Halle Pietists, some were elected to public office on behalf of the patriots. Many fought. Some fled to Canada. And on both sides of the war, Halle Pietists served the combatants as military chaplains to German-speaking regiments. This article first describes the outlook on patriotism among the clergy in the Pennsylvania Ministerium, with particular focus on the opinions of its founder, the Halle missionary Henry Melchior Muhlenberg. It then tells the stories of three Lutheran chaplains connected to Halle Pietism: Christian Streit (1749–1812), who took a call to a patriot regiment and received a testimonial from the Pennsylvania Ministerium in the first denominational endorsement for a military chaplaincy in American history; Frederick V. Melsheimer (1749–1811), who deserted his German auxiliary regiment in order to marry a Moravian and seek admittance into the Pennsylvania Ministerium; and Christopher Triebner (1740–1815), a Halle missionary to Georgia, who became a loyalist and a chaplain to German auxiliaries (commonly called Hessians). Each is a unique story of faith, conscience, and duty. In the centuries since the American Revolution, chaplains in the United States and Europe have evolved from civilian contractors to commissioned officers. Both then and now the balance between military duty and the pastor’s conscience toward God has at times been difficult to maintain. Perhaps present dialogues on clergy ethics may find it instructive that during the American Revolution the three Lutheran Pietist chaplains of this study responded to the ethics of partisanship in three different ways. This study concludes with suggestions for how the Evangelical Covenant Church, which locates itself in spiritual and intellectual continuity with Halle Pietism and Zinzendorf ’s Moravianism, may find resources in these historical precedents. In highly charged partisan atmospheres, non-partisan neutrality is often misunderstood and unappreciated. It is more viscerally satisfying to embrace the story of Thomas Allen and imagine the evangelical pastor rushing the battlements of tyranny with sword in hand. As the Evangelical Covenant Church had once cultivated ties with the Congregationalists, it can be argued that Allen belongs to its past, too; for the Covenant in the United States, a stronger case can be made for institutional succession from the Congregationalists than either Halle or Herrnhut. At the same time, an ethos came to be shaped within the Covenant that deliberately held the Congregationalists at arm’s length and chose rather to remember its spiritual forebears in the pietisms of a German past. Within that Pietistic Lutheran past, the clerical office was esteemed as one that was (1) loyal to the sovereign state and (2) non-partisan in the politics of representative governments wherever those existed. These values were variously expressed as is shown by this study of three Lutheran military chaplains and their relationships to their communities of discipline and call. In all cases, the choices between duty and conscience, and between partisanship and vocation, do not come easily. As military duties have evolved, new rights are being claimed and enforced in the US armed forces that may well cause a crisis of conscience for Covenant chaplains. Hopefully the Covenant, by remaining grounded in its affirmations, can be the support its military clergy need as they navigate their duties and their call; hopefully the Covenant will offer a collegial reception when conscience requires that the uniform be resigned or retired. To those of a partisan frame of mind, Francke Institutes director Freylinghausen’s letter is little more than a string of pious phrases from an out of touch bureaucrat. Read from a premise that clergy should be neutral in the midst of partisan conflict, perhaps this missive from a Halle Pietist contains wisdom and hope for today: though conflicts and ethical dilemmas shift with the partisan tides, the church remains the rock of salvation for the repentant. 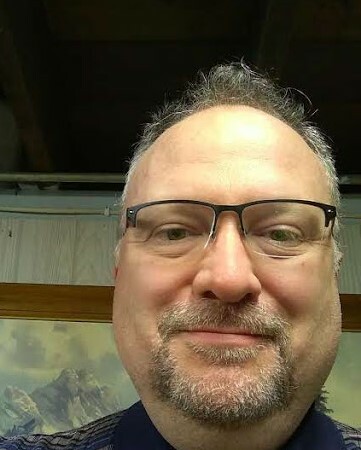 Jonathan M. Wilson is the pastor of Salem Covenant Church in Pennock, Minnesota. He received his PhD from Lutheran School of Theology at Chicago, and lectures in North American and Covenant history for North Park Theological Seminary, Chicago, Illinois.